Over the last two thousand years, Cleopatra has been branded dozens of things. And the truth seems to be lost to time. In Cleopatra: A Life Stacy Schiff tells the dazzling story of Cleopatra’s fight for the throne, her relationship with Julius Caesar, her life as a mother, ruler, and goddess, and then her relationship with Mark Antony. 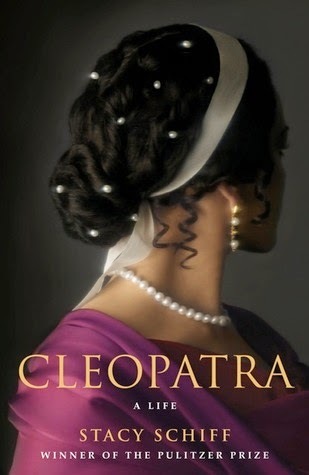 I never knew much about Cleopatra until I read this book. I was always dazzled by the legend and was very curious to learn what actually happened (as best as anyone can deduce). Stacy Schiff sets the scene with gorgeous imagery and I also liked that she included different accounts and opinions about different events in Cleopatra’s life. I didn’t realize how long she ruled, the level of strength that she ruled, and that her and Mark Antony’s love story is one for the ages. It’s also interesting that the double standards Cleopatra experienced (and still does) are, at their core, almost the same as the double standards women experience today. While it’s not a super fast read, I definitely was eager to keep picking this up night and night. Whether you know Cleopatra and love her story or know very little and want to know more, I would highly recommend this book!